From author Mark St. Pierre, Pulitzer Prize Nominee and Winner of an National Endowment for the Arts Fellowship for Creative Non-Fiction comes a documentary about the spiritual decolonization of Native Americans. 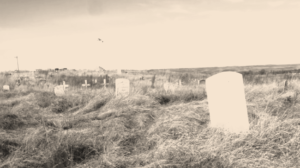 “Who Will Bury the Dead?” is a deep, candid and historical look at the Christian experience of one of America’s largest and best-known tribal groups… the Dakota and Lakota. 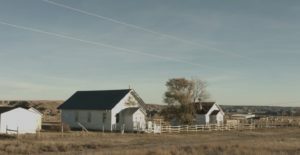 The film begins with a look at early Presbyterian and Episcopalian Missionaries on the Minnesota Frontier in the 1830’s. 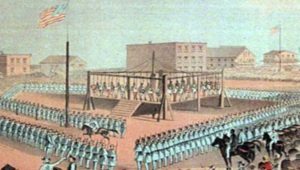 It quickly moves to the attempted conversion of the people of which, by example, 38 Dakota men were hung at Mankato in 1862 having just recently been baptized. An exploration into Native American history, “Who Will Bury the Dead” also takes a hard and detailed look at President U.S. Grants Peace Policy of 1873 which was, in effect, a “convert to Episcopalianism or starve” edict put forth by the American government in direct violation to its Constitution. The devastation to the values of the people affected were dramatic and extremely long-lasting. Grant’s policy was finally ended over 100 years later by the Freedom of American Indian Religions Act in 1978. Interlaced with extraordinarily candid interviews, Who Will Bury the Dead? presents an insiders perspective of how the Lakota people were estranged from their religious beliefs and long standing traditions. Through the experiences of informants ranging from 97 year old Rev. Sidney Byrd to Jerome LeBeau, a young Lakota healer, Will Bury the Dead? 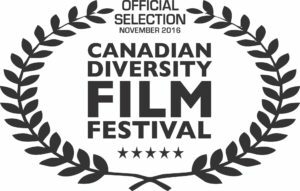 is a multi-generational film that addresses a subject matter not yet brought to the awareness of modern day students of Native American life. With a profound mosaic of Tribal voices, both young and old alike, the film empowers the viewer to accept America as an aggressive colonizer of a tribal group that once controlled 1/5 of the land mass that is now the United States. Shot with superb cinematic style, the film presents the audience with profound Lakota and Dakota intellectual and philosophical voices accompanied by supporting video and seldom, if ever, seen historical images. 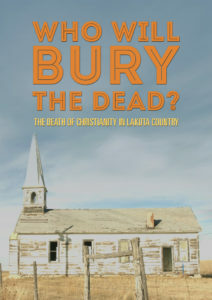 It ends with the realization that Episcopalianism, once the dominant spiritual expression of the Lakota is now all but history, through the direct actions of the Episcopal Church leadership including the prolonged turning away of young Lakota Priests in the 1980’s to the forced closing of 9 Churches on Pine Ridge in 2009.
Who Will Bury the Dead? includes interviews with, and insights, wisdom and commentary by Doris Respects Nothing, Reverand Webster Two Hawk, Reverand Lyle Noisey Hawk, Reverand Sidney Bird, Tilda St. Pierre, Stella Iron Cloud, Virginia Driving Hawk Sneve, Tripp Hunt, Don Metcalf, Rev. Daniel Makes Good, Rt. Reverand John Tarrant, Jerome Lebeau, Clark Zephier, Rev. Don Eagle and Deacon Terry Star. Who Will Bury the Dead? ends in a hopeful look at the powerful re-emergence of the Lakota Traditional Spiritual Practices. “The Status Of Contemporary Lakota Tribal Arts” Published in “Sharing A Heritage”, UCLA Berkeley, 1984. “Wacipi: Presenting the Sioux Pow-wow” Published by Akta Lakota Museum Chamberlain S.D., 1987. “Madonna Swan: A Lakota Woman‘s Story” Hard Back 1991 published by University of Oklahoma Press. Soft Back 1994. University Of Oklahoma Press. New Edition 1994. 1992 Nominated Pulitzer Prize for Madonna. “Walking In The Sacred Manner” Published 1995, Touchstone/Simon & Schuster. “Of Uncommon Birth: Dakota Sons In Vietnam” Hardback Published 2003/Paperback 2016. University of Oklahoma Press. In-home/Personal use copies of the DVD are available on Amazon: http://amzn.to/2BHzEL4. If you prefer to stream or download: http://amzn.to/2EaD2Cq.